Silky, silvery-yellow flower plumes in late summer above large mounds of sharp-edged, mid-green leaves. 'Pumila' is a particularly compact and free-flowering variety of this much-maligned ornamental grass. We've chosen it as one of our recommended plants since it makes an excellent all-year focal-point for the smaller garden. Garden care: Protect the crowns of young plants during the first winter with a deep, dry mulch. Each year in late-winter or early-spring wearing stout gardening gloves remove the previous year's stems by cutting and combing. Make sure you do wear stout gardening gloves when you are working with these plants as the leaves have sharp margins which can cut your hands. Hi there, Can I grow pampas in a pot or does it need to planted into the ground? Hello there Ideally it would be better grown in the ground, but this is a compact form so it could be grown in a container as long as it is a large one, and it is kept well watered and fed. Hope this helps. 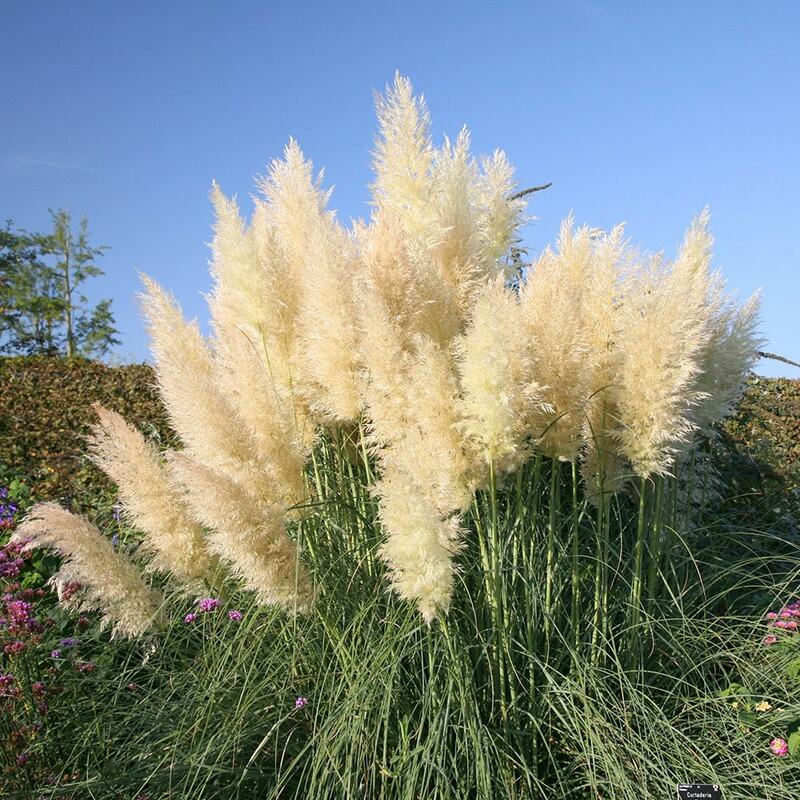 Hi there, Would i be able to grow pampas grass in a pot? As I only have a balcony, which is also on the 6th floor. So i wonder would it be destroyed by wind? Thanks. Hello there Unfortunately I wouldn't recommend this grass for a balcony as the plumes and stems could be damaged in the wind. Sorry to disappoint you. 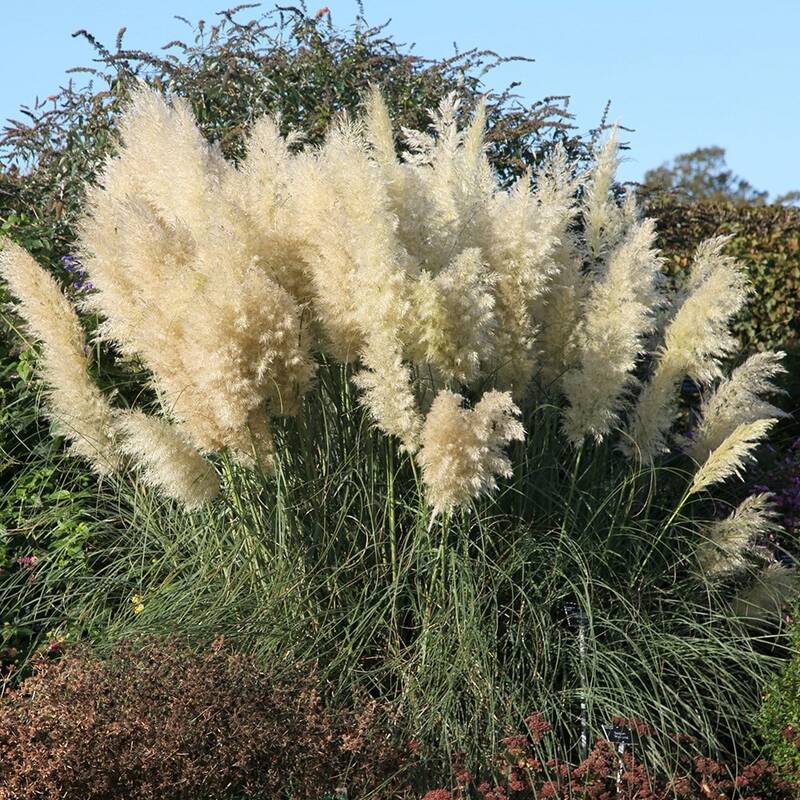 Hello when is the best time to plant Pampas grass? Hello there As a general rule plants that are grown in containers can be planted at any time of year as long as the soil isn't frozen solid. The best times are in the autumn when the soil is still warm enough to encourage root growth but the plant isn't in active growth, or the spring before the temperatures start to rise. So you could plant the pampas grass now as long as it isn't freezing. Hope this helps. would it be alright to plant a cortaderia selloana on ground which has a sewage systen about 2 ft underneath? With the garden devoid of summer froth and carpeted in autumn leaves, certain plants shine at this time of year, a well-placed grass shimmering against a winter sunset, or the reddish brown, silky feathers shimmering in low sunlight are winter treats.